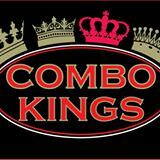 Dance to the music of the Combo Kings at the Listening Room on Main. Doors open at 6:30 with music starting at 7:00. Wine, beer and soft drinks are sold for $2.